← Forest Park Is The Place To Be This Autumn! Adults can also become superheroes at the afternoon blood drive and visitors of all ages can explore creatures of the night in the evening. Friday Night Live: Super-Villains or Super Heroes will uncover how all wildlife has a special role in nature, even ones that can annoy us, such as mosquitos. Visitors will become myth busters as they learn about creepy critters that often get a negative slant, especially around Halloween. Families will explore superheroes such as owls, spiders, bats, and even cave life. Activities include an owl presentation at 6 p.m., hunting spiders by eyeshine starting at 7 p.m., an interactive presentation of “Charlotte’s: Web of Life” with characters on the Tanglevine Trail. Kids can also enjoy hands-on experiences, such as making slime, probing mystery “touch boxes,” seeing live snakes and salamanders, embarking on a scavenger hunt, and entering an inflatable cave. MDC staff will offer free popcorn and hot chocolate. “We want to shed some light on these creatures of the dark and enable visitors to discover how important they are to all of us and our environment,” Rodriguez said. 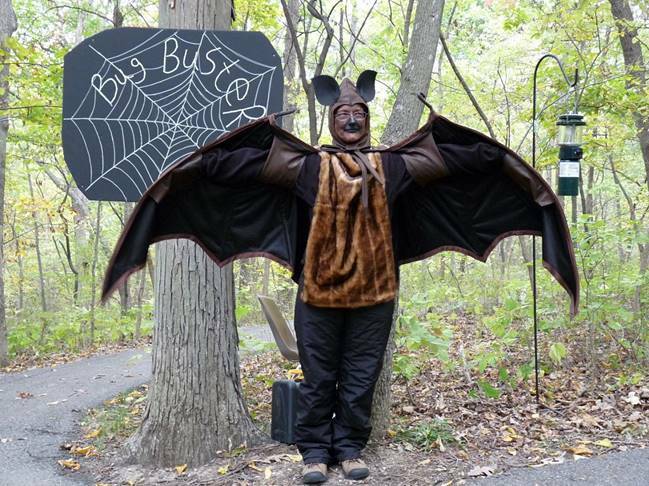 In true Halloween spirit, visitors are encouraged to come dressed as their favorite animal. Families should also plan to come early as some activities will be available for a limited time. Adults can also become community superheroes by donating blood before the evening event. Powder Valley is hosting a “Super Hero Blood Drive” from 3–6 p.m. in cooperation with Mississippi Valley Regional Blood Center. Advanced registration for the blood drive is required by calling 314-301-1500 or going online at BloodCenterImpact.org. Use sponsor code 10891 when registering online. Donors must arrive with a photo ID. Whether families want to learn all about nature’s superheroes and villains in the evening, or adults want to become superheroes themselves by donating blood in the afternoon, Friday Night Live at Powder Valley Oct. 19 is a can’t-miss event. Powder Valley Conservation Nature Center is located at 11715 Cragwold Road in Kirkwood, near the intersection of I-44 and I-270. For more information, call (314) 301-1500, or go online to https://tinyurl.com/ya3hdowo.